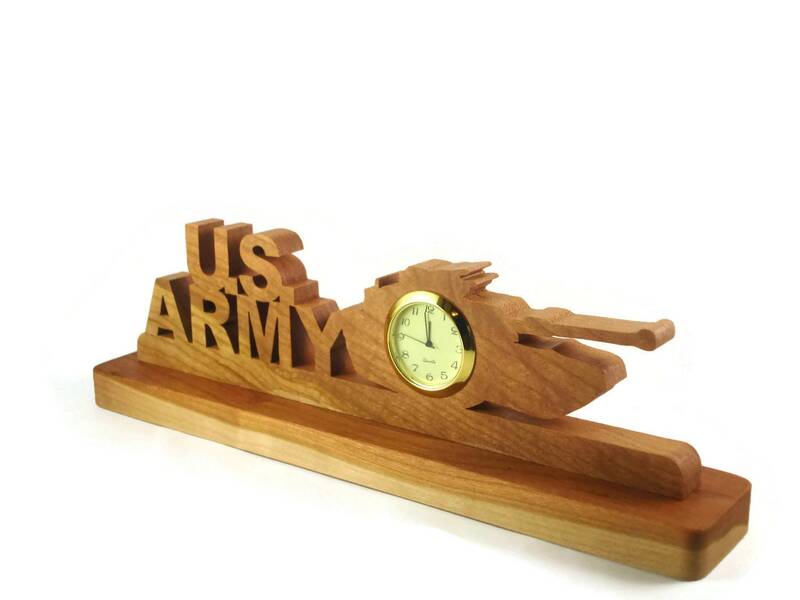 This United States Army desk or shelf clock was cut by hand ( Handmade ) from Cherry wood using a scroll saw. 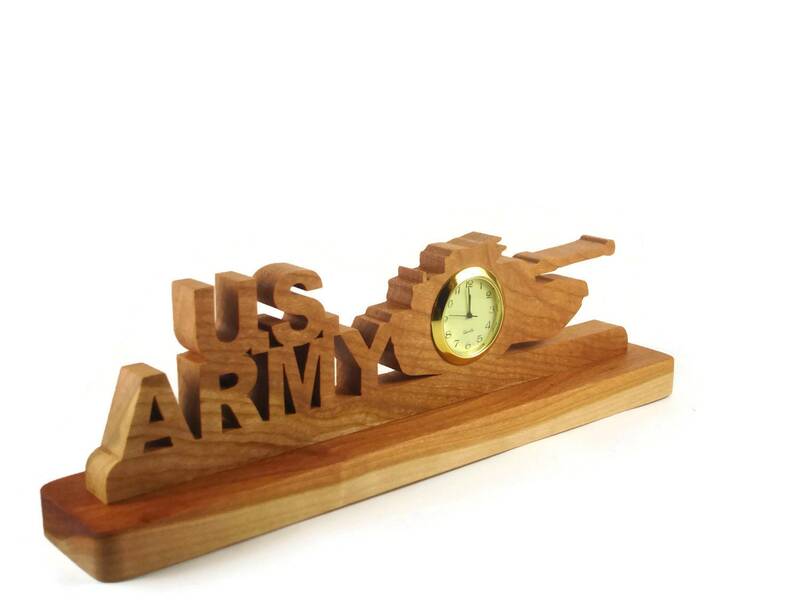 This clock features a US Army Tank on the right with the US Army letters on the left. The 1-7/16 inch clock insert space is somewhat in the center. 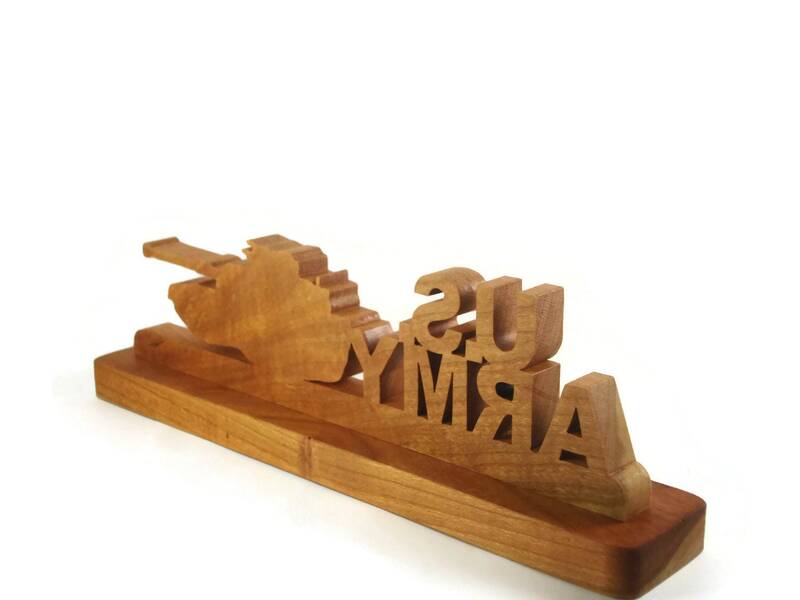 This is glued to a 2" x 10" base for stability. 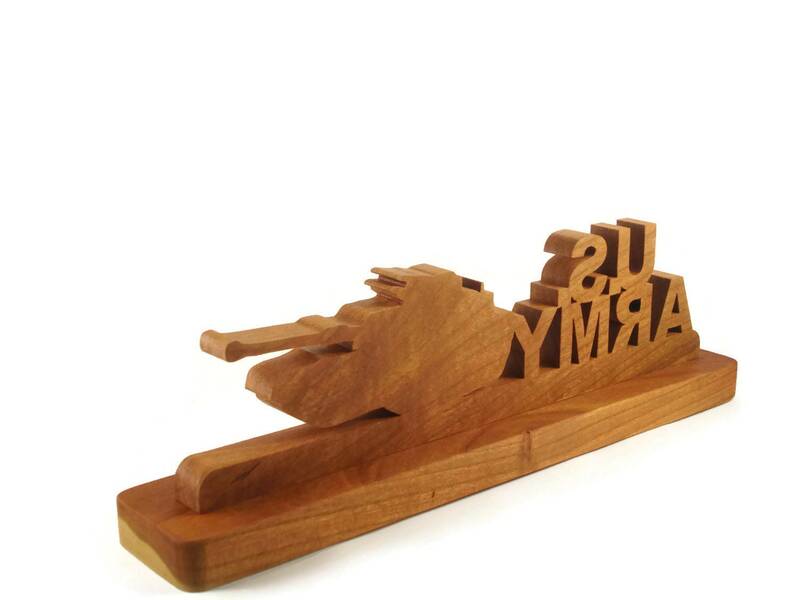 A non-toxic homemade mixture of beeswax and mineral oil finish was applied to bring out the natural beauty of the wood as well as to protect its natural beauty for many years of enjoyment. The 1-7/16 quartz clock insert features a ivory color face with black Arabic numbers, a glass lens, and a gold plated bezel / trim. A stainless steel back cover encases the little watch type battery. Battery is installed and ready for you to activate and enjoy. 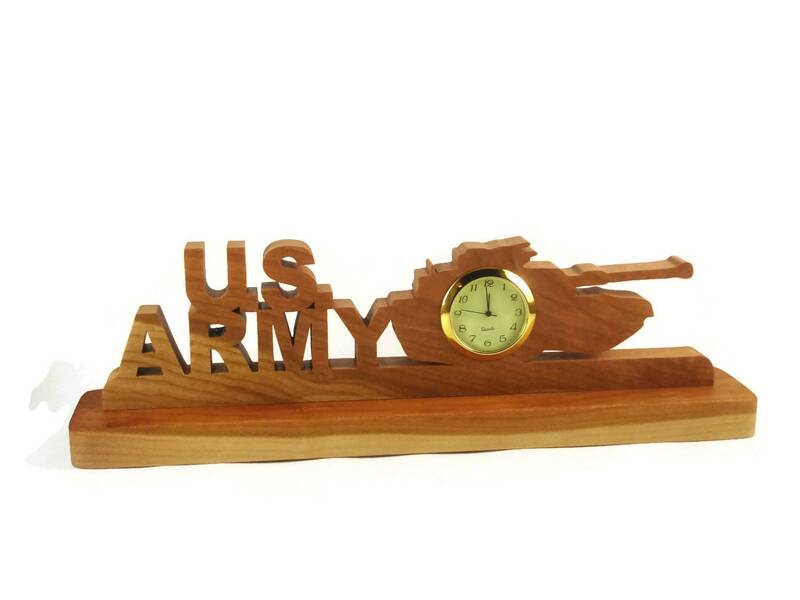 This can be ordered from other types of wood if cherry wood is not your style, Please contact me for details on ordering as I would love to make a clock just your style!